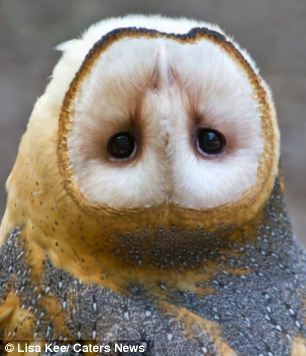 This owl may have been left wondering if turning her head completely upside down was a very wise thing to do. The intrigued bird spun her head around as she listened to a camera busily snapping away at her. 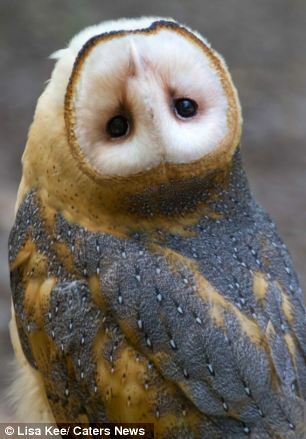 The owl, called Minerva, twisted her head in confusion and continued until it had moved a full 180 degrees. 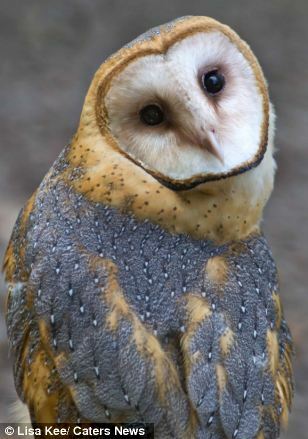 The bizarre sight was captured at the World Bird Sanctuary in Valley Park, Missouri, U.S.
Owls cannot move their eyes in their sockets because of their large size that enable them to catch prey in the dark. 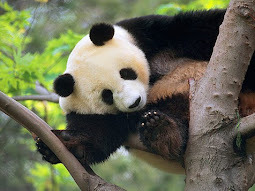 Therefore, they rely on a deceptively long and flexible neck that enables them to rotate their heads. The birds can move their head up to 270 degrees in either direction to see their surroundings. Photographer Lisa Kee, 48, caught the painful-looking pose on camera.